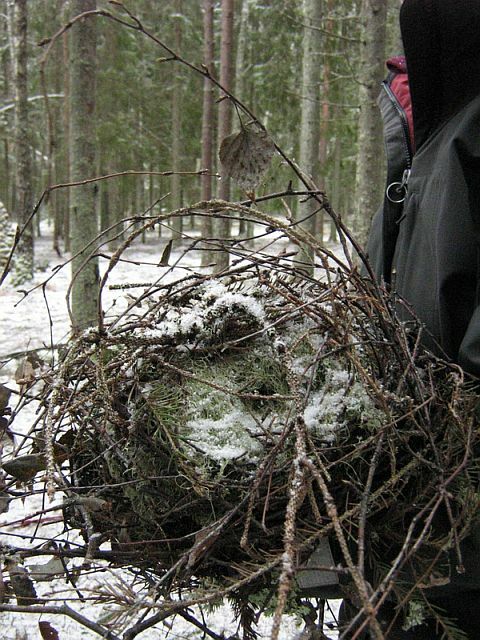 What is a squirrel’s nest like on the inside? On the first day of the new year we were at Rassi to look at the restored Forest Brotherhood* bunker http://pk.rmk.ee/parandkultuur/JK/JK143.jpg. Having checked the bunker Liisa went to search for the geocache treasure, I wandered around in the neighbourhood and found a bundle of several kinds of branches and lichens on the ground. The storms had obviously tugged out the bundle from between the branches in its tree. We guessed that we had to do with a squirrel’s nest. The nest was not open at the top, and only a small entrance hole was visible. We decided to investigate it because its owners would not manage to carry back the construction into the tree. We unravelled the bundle and how nice! 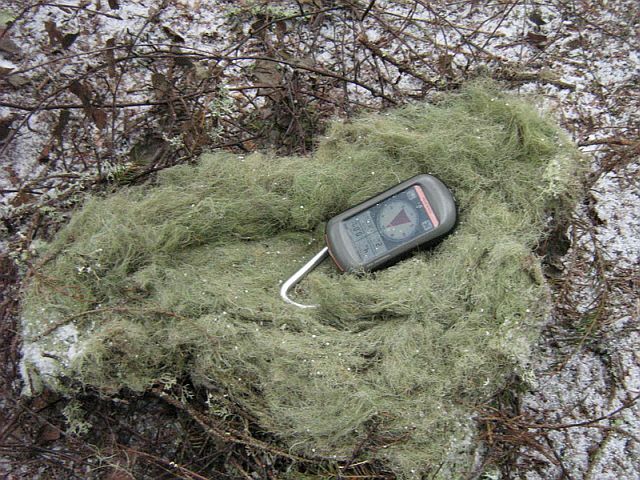 The nest was lined with about 5 cm of beard lichens (Usnea) and Bryoria lichens - ceiling, walls and floor. And the inside of the nest was so clean!